The TAG Heuer brand was first established in 1860 when Edouard Heuer set up a small watchmaking workshop in Saint-Imier, a village in the Swiss Jura Mountains. After nine years he presented the first Heuer patent for the first pocket watch mechanism that did not involve a key and could be wound with the crown. This goal influenced the Maison’s basic philosophy: it would always be focused on extending the scope of watch technology. A goal that is the same today and is now being pursued by a highly specialised staff who can rely on a profound understanding of watchmaking that has been developed over time. Tag Heuer draws its main inspiration from sport, and the Maison still boasts many ambassadors from the world of football, cycling and motor sports. This tendency has been translated into a style that has been developed over the course of time and by its desire to offer very versatile models, without at any point relinquishing its elegance and wearability. TAG Heuer is a marriage of opposites: tradition and innovation, prestige and performance, sport and elegance. The sports collections have a very strong and versatile design, that makes them ideally suited for everyday use and extreme conditions. Its reliability is also a feature of its more classical and smarter watches, whether for men or women, and the iconic versions of the historic Monaco and Heritage collections. A style that is consistent with its past but open to technological innovation, with the integration of digital technology in the mechanical product as in the TAG Heuer Connected Modular. Its quality is tested: before reaching the market every article is subjected to a whole range of tests patented by the Swiss Federal Institute for Intellectual property and carried out by a team of mechanical and chemical experts. 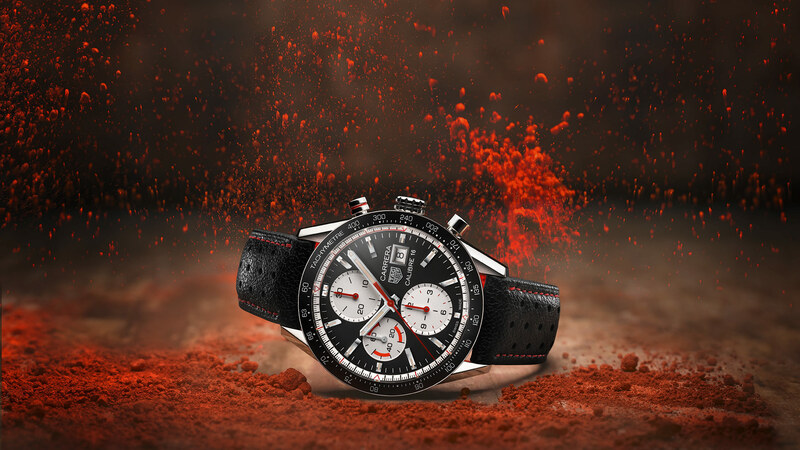 By creating the Carrera watch, Jack Heuer meant to pay a tribute to the famous Carrera Panamericana sports car race that many considered the most dangerous in the world. Conceived for professional drivers, with its design it broke away from traditional watchmaking precepts. The first TAG Heuer self-produced movement is still considered among the most reliable calibers in existence. Thanks to a minimalist and more elegant design and a larger and easier to read dial, it is perfect for track racing or to find one’s bearings in everyday life. A watch that exceeds the standard rules of watchmaking, with its square shape and its automatic chronograph calibre, an true innovation in 1969, the year it was first launched on the market. The name is a tribute to car racing and the Monaco Grand Prix. 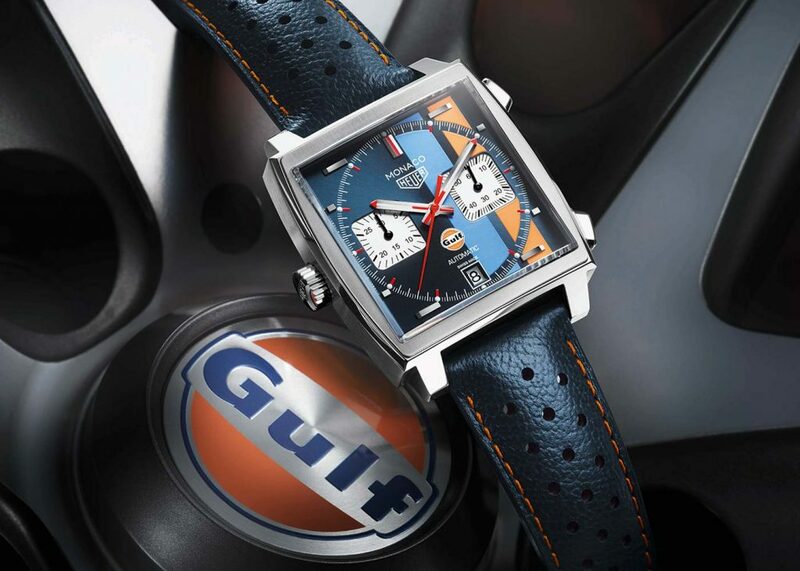 Steve McQueen chose it, in 1971, as the watch he wished to wear during the filming of the 24 Hours of Le Mans, gracing it with iconic status among the Maison’s watches. These are underwater watches capable of withstanding intense use in water while remaining water resistant up to a depth of 300 m. The typical design of water sport watches, with a revolving bezel to measure diving times, relies on great attention to detail: six notches on the bezel make it easier to swivel even when wearing gloves. Reliable watches, which at the same time have a very soft design and are comfortable to wear. TAG Heuer Connected Modular is the ideal companion with which to face everyday challenges. With this collection the Maison lends a new lease of life to the connected watch by matching the craftsmanship and the traditional codes of Swiss watchmaking with state-of-the-art technology. A clock has an internal mechanism that is made up of many cogs that are constantly moving and coming into contact. That’s why TAG Heuer suggest that every watch should be checked every 4-5 years, partly to guarantee the reliability of the watch and verify the conditions in which it has been used. In this way one can assess the need for a thorough servicing to clean the mechanism of any lubricant oils, which over the years are naturally bound to lose their effectiveness, ensure that the case is still watertight and that the watch is in top working condition.For battery change operations, TAG Heuer recommends contacting an authorized Servicing Centre that will have the equipment and tools required to carry out the operation and is certified to operate according to professional standards.For all watches, but in especially those that come into contact with water,TAG Heuer recommends checking that the case is still watertight every year. One can ask for a free wet test to confirm water tightness from the Hausmann & Co. Servicing Centre.